For a limited time only, you can get your hands on the first six Fafhrd and the Gray Mouser books by Fritz Leiber for only 1.99$ each here. 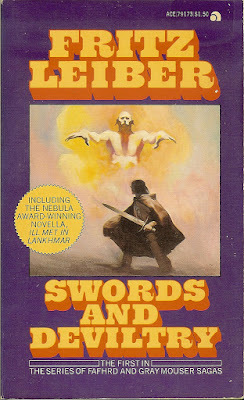 Swords and Deviltry, the first book of Leiber’s landmark series, introduces us to a strange world where our two strangers find the familiar in themselves and discover the icy power of female magic. Three master-magician femme fatales and a sprightly lad illuminate the bonds between father and son, the relationship between the bravado of the imagination and the courage of fools. A hedge wizard explains the cold war between the sexes. Mouse and Fafhrd meet again and learn the truth of how Mouse became the Gray Mouser. Together they traverse the smoke and mirrors of Lankhmar learning more and more of the foggy world in which they live, mapping the sinister silent symptoms of the never-ending night smog. They follow the night smog’s relation to the region’s longing for larceny and the hazy opiate of vanity. Last but certainly not least, they experience the pleasures and pains of the City of Sevenscore Thousand Smokers that will lead them to countless more adventures and misadventures. You can still download the first volume of Roger Taylor's The Chronicles of Hawklan, The Call of the Sword for only 0.99$ here. The following installments (The Fall of Fyorlund, The Waking of Orthlund, and Into Narsindal) are also available for 2.99$ each. The castle of Anderras Darion has stood abandoned and majestic for as long as anyone can remember. Then, from out of the mountains, comes the healer, Hawklan - a man with no memory of the past - to take possession of the keep with his sole companion, Gavor. Across the country, the great fortress of Narsindalvak is a constant reminder of the victory won by the hero Ethriss in alliance with the three realms of Orthlund, Riddin and Fyorlund against the Dark Lord, Sumeral, hundreds of years before. But Rgoric, the ailing king of Fyorlund and protector of the peace, has fallen under the malign influence of the Lord Dan-Tor, and from the bleakness of Narsindal come ugly rumours. It is whispered that Mandrocs are abroad again and that the Dark Lord himself is stirring. 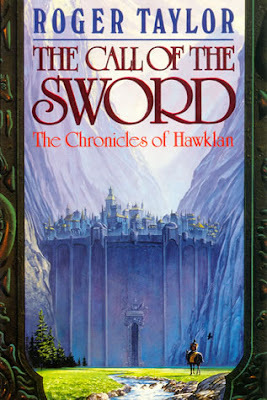 "The Call of the Sword" is Book One of The Chronicles of Hawklan. In addition, all his other novels, many of which can be read as stand-alones, are also 2.99$ each!